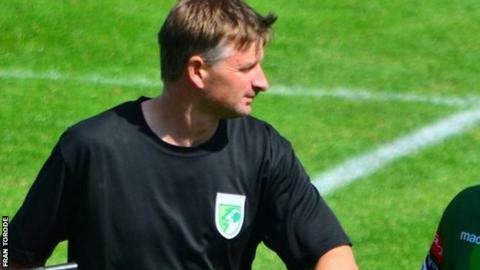 Tony Vance has said his Guernsey FC side had an education in the Isthmian League Division One South last season. The Green Lions finished mid-table in England's eighth tier, having made the play-offs the year before. They will start the new campaign at Crawley-based side Three Bridges. "We've learned a lot. Last season maybe teams sussed us out and realised what our Achilles heel was and we ended up finishing where we deserved," Vance told BBC Sport. "We have to be realistic and understand the challenges. Last year was a real difficult season for us, with many issues which we had to deal with." The Channel Islanders will begin pre-season training on Thursday night, with their first league fixture coming on Saturday, 8 August. Before that they will play home warm-up matches against Billericay Town and Glebe FC. "We're actually starting (pre-season) quite late because the lads have had the Island Games. They're pretty fit, so it's just a case of topping up," added Vance. "There's no reason whey we can't talk about pushing for the play-offs at the very least, but other teams spend money, and that often dictates how they do." Why doesn't Britain love Froome? Read more on Chris Froome: Why doesn't Britain love the Tour de France leader?